Essex Kent Fence & Decks has been in business since 1999, and we are your fence and deck headquarters. We specialize in vinyl and wood decks, vinyl and wood fences, wrought iron fences, and residential and industrial chain link fences. We are also able to custom design almost anything you can dream up, thanks to our in-house C. N. C. machine/router that allows us to create the unique, one of a kind look you envision. 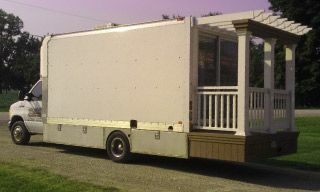 Let us bring Essex and Kent County’s only mobile vinyl fence and deck showroom to your home for a free estimate. If you need a place to store your lawnmower, tools or garden supplies, make sure to ask about our garden sheds. We’re always happy to answer questions, but we also invite you to check out our gallery of work to get a better idea of what we do. We utilize a computerized cutting system to get the job done right and to your specifications, and we’re happy to work with you to make sure you get what you’re looking for. To learn more, or if you have any questions, just contact us today. We offer free estimates on all our work. Essex Kent Fence & Decks offers 24 hour snow removal services, and are experienced in serving high traffic areas, such as schools, colleges, hospitals, shopping plazas, police and fire departments, and even 911 call centres. Call our 24 hour snow removal dispatch line at 519-360-6034.